Say hello to Zaster Banker, your mobile banking app! 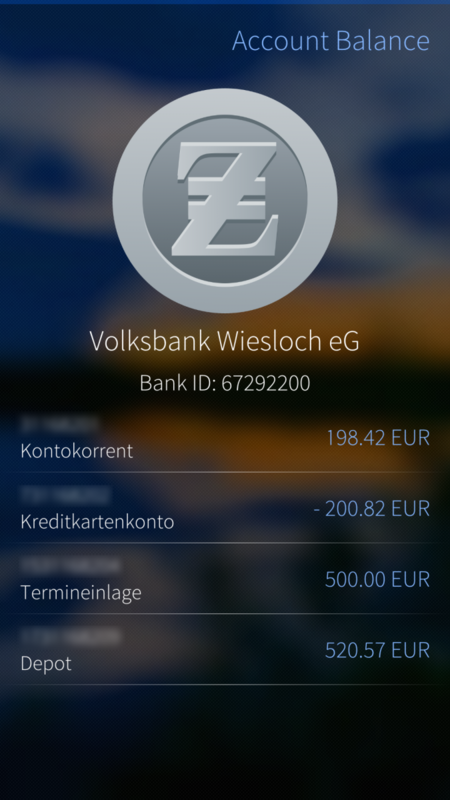 Zaster Banker currently supports (mostly German) banks which use the FinTS/HBCI API - fast and easy-to-use! Search-as-you-type for your bank: No complex searching for backend API URLs, your bank ID (BLZ) or other things. Just use your bank's name (or only parts of it), select your bank from the search results and Zaster Banker automatically finds all parameters for you automatically. As mentioned, you have a testing period of 14 days after the first run of Zaster Banker. Take your time to test the application and ensure that it fulfills your needs and that you really like it. There are no limitations to the software during this time - simply press the button "Continue Testing" on the initial screen. If you decide to purchase a contribution key in order to keep on using Zaster Banker beyond the testing period, please choose a contribution type. You have the choice between 4 different contributions: S, M, L, XL. No matter which size you choose, the purchased key will unlock the the complete application after the trial period. It's up to you to decide how much the app is worth to you. Moreover, feedback about Zaster Banker is always appreciated (good, bad, improvement/feature ideas etc.). As mentioned, you can contribute with a translation, a new feature or even a bugfix. The sources are on GitHub at https://github.com/Wunderfitz/harbour-zaster Please acknowledge the GNU GPLv3 before contributing/forking. Thanks to all contributors! I don't know if that helps because I'm not sure whether it is open, but it seems most French banks (and some others, including N26) are supported by Linxo: https://www.linxo.com/decouvrir/liste-banques/ (couldn't not find this page in the English version of the website, sorry). Is this the kind of APIs you need? Otherwise, I read that banks have been asked to provide APIs in the near future anyway: http://fintechnews.ch/fintech/psd2-eu-banks-fintechs-responding-open-ban.... Now, I'm not sure how realistic this is on the short term. Understood. Looking forward to having those banks supported then, if it turns out to be feasible. I'll definitely buy the app when/if I can use it for my accounts. 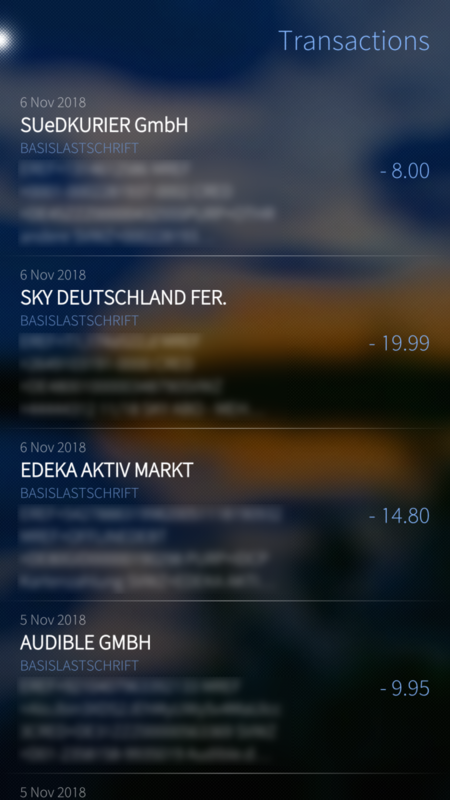 To be honest, my main accounts are in French banks, but I can live without applications for them because the websites, even though very annoying to use on a mobile devices, offer the same features as the Android applications. However, things are different with N26 because the application is required to do any operation, like a bank wire or the validation of a secured Internet payment. The website does not allow confirming those operations, on purpose, which to be honest is quite annoying. 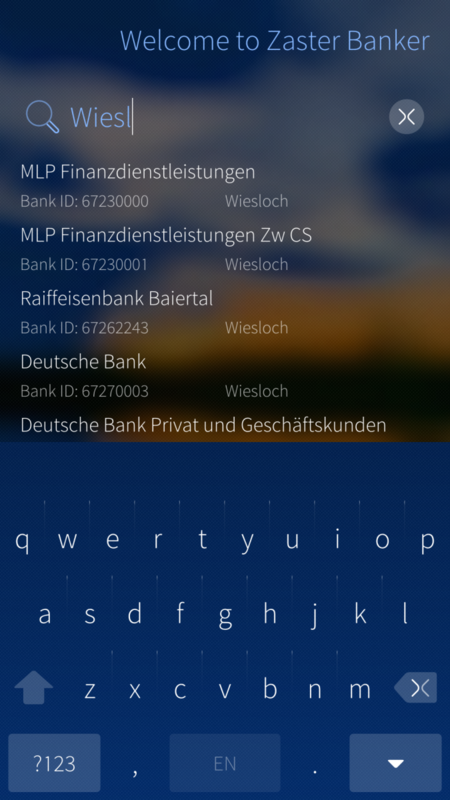 I know Zaster Banker is read only at the moment, and that it doesn't support N26 yet, but if it can replace mandatory Android applications one day, this would be a game changer for Sailfish. It is critical for N26 since the official application does not install anymore on 4.4.4 provided by Alien Dalvik (meaning even with Google Services installed, I can't use N26 anymore). Thx! May I suggest to be in touch with https://cbc.be ? Would be so great to drop Android permanently. Okay. Looking forward to having it working for Belgian banks, and willing to pay for it. Any idea of how much they may be asking for licensing a corporate API ? (To be honest, after discussions with CBC's IT department, I'm not really optimistic... They keep saying "Usage restrictions are for your security", without any explanation). Anyway, please keep trying, preferably with top executives.